Cropping an image in ruby,then we have to proceed via rmagick.At first install imagemagick and rmagick gem into your system. 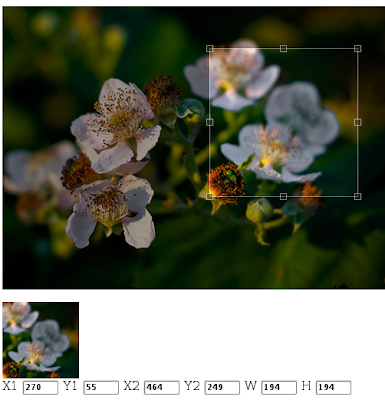 Before proceeding for the crop we have to get the width,height and x,y co-ordinates of the image. Note*: This Program tested and works in all Linux system.